Published June 22, 2015 in category: Design with tags: library ladders, design. The kitchen is usually referred to as the “heart of the home”. This is one area where improvements are always welcome. With so many different ways to spruce things up, you don’t have to spend a fortune or even take on an entire renovation project to get your kitchen looking its best. There are a lot of small changes that you can make in your kitchen to give it more life, more function, and a high-end style that suits your tastes. -Custom cabinets: Whether you choose glass fronts, cabinets with built-in storage features like hangers for your pots and pans, or even just a unique finish or design, custom cabinetry can make a big statement in any kitchen, and it’s a simple switch. -Add an island: If your kitchen doesn’t have one, an island can be a great addition. You can build a custom island to add counter and storage space, as well as a great design feature. If you can’t build one, you can often buy pre-made islands at furniture and home stores for a more affordable and readily-available option. 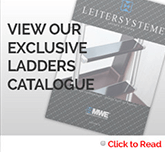 -Rolling ladders: The rolling library ladder isn’t just for the library. 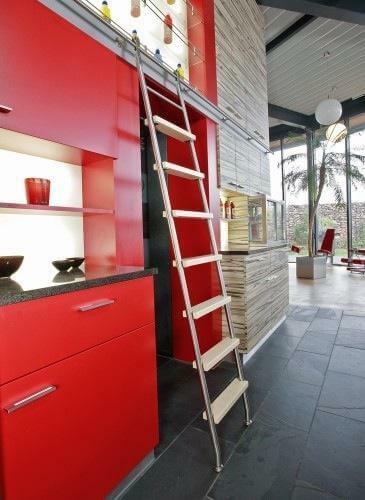 This ladder is ideal for kitchens because ladder adds a functional tool along with a modern, sleek design. 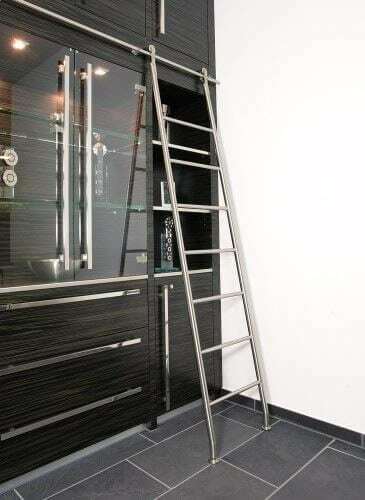 You can access higher storage space, or even create new storage spaces because you have a way to access them with rolling ladders. -Updated paint: You can repaint the entire room, touch up, or even repaint cabinets. It’s amazing the difference that can be made with a coat of paint, but it’s a simple, affordable improvement for any kitchen. 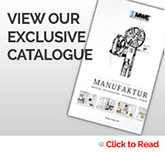 -Change hardware: Cabinet hardware, library ladder hardware, and other details in your kitchen design can easily be swapped out for new styles to make a surprising impact on the design of your kitchen. You’ll be surprised just how much of a difference such a small change can actually make.